Greetings, dear humans! 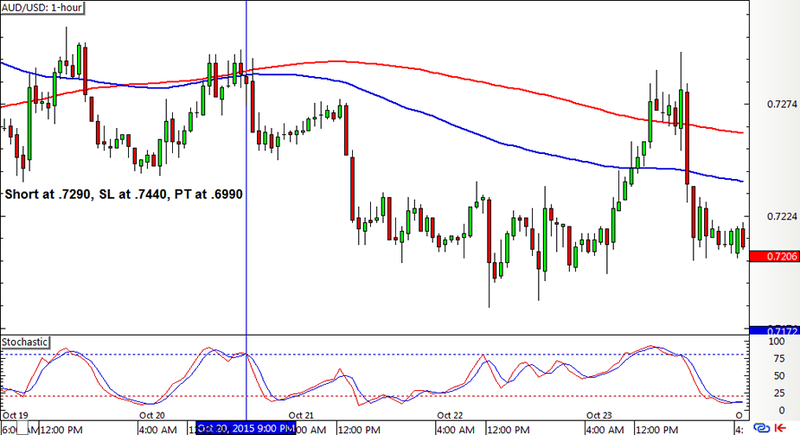 I’m back with another set of updates on the SMA Crossover Pullback forex mechanical system and I gotta tell ya, the numbers are lookin’ pretty fly! As I’ve mentioned in my previous blog post, GBP/USD had a long position open until last week. 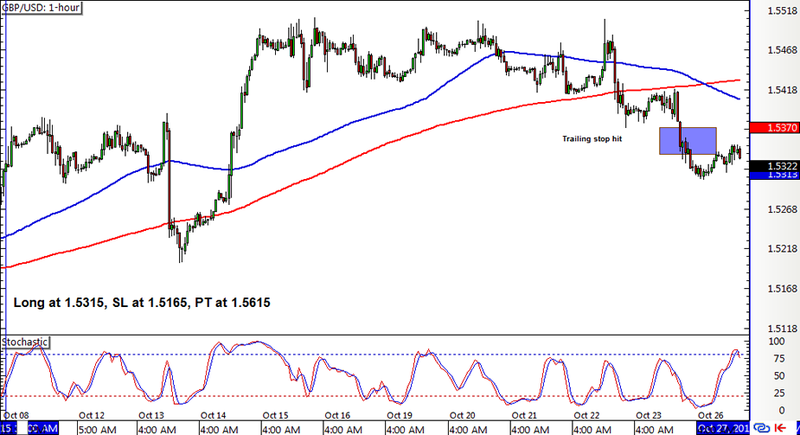 Price was able to climb up to a high of 1.5500, putting the 150-pip trailing stop in play, eventually leading to an early exit just in time before a new crossover and selloff took place. 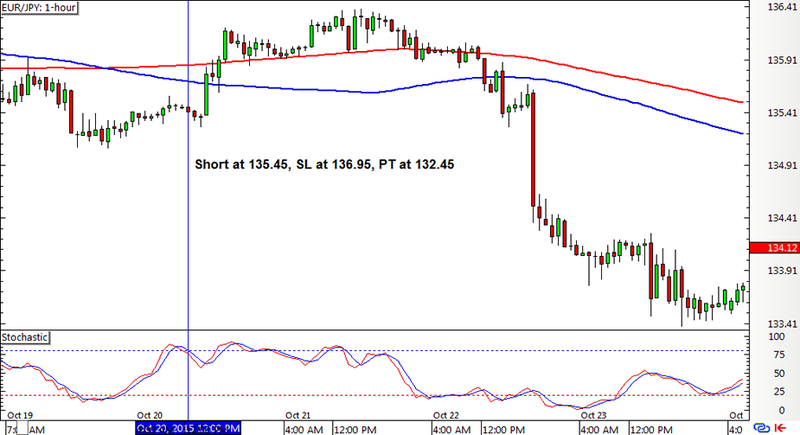 Thanks to this risk management adjustment, the system still managed to lock in 35 pips with that position! The euro pairs I’m watching with this forex system were able to get valid short signals just before the ECB rate statement and, as you’ve probably guessed, these positions are doing quite well. 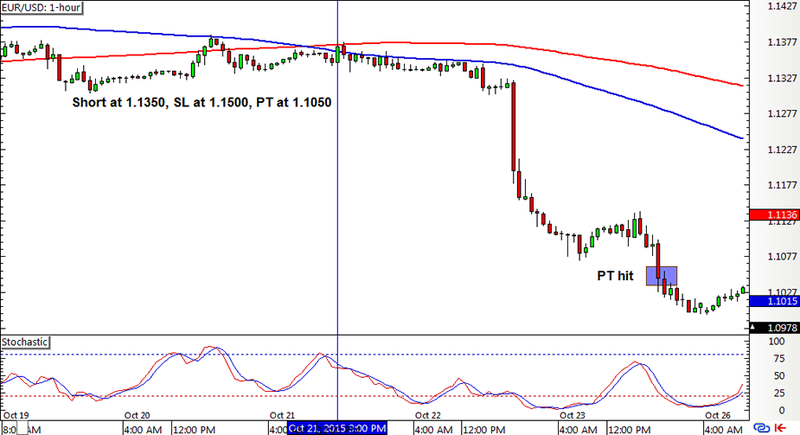 EUR/USD actually hit its PT already while EUR/JPY is still makin’ it rain! AUD/USD also got a valid short signal but the pair seems to be stuck in range so the short position was left open until the end of the week. Following the 371-pip or 2.47% gain since the start of this quarter, this system was able to chalk up an additional 335-pip lead or +2.23% gain. I don’t want to jinx it but it looks like the current week is also shaping up to be another profitable one. I’ll run the numbers in my next blog post so stay tuned!